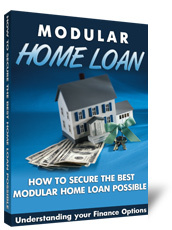 In recent years, more and more homebuyers have become aware of the advantages of owning a Modular Home. With the advancements of modern technology, the industry is overcoming the misconception that factory made homes are all poorly built and don’t measure up to stick-built homes. In fact, the term "factory-built" describes many different things. It can describe homes built on-site using panels- walls pre-fabricated and shipped directly from the factory to the job site. It can also be used to describe the modular housing industry — homes built in sections or modular units in a plant and then attached on a permanent foundation with the use of a crane. And of course, it can describe HUD-code homes, also known as manufactured or mobile homes. The growing popularity of Modular Homes is no real surprise. The idea isn’t new. Sears Roebuck offered a prefabricated “modern home” in their spring 1908 general catalog, which was shipped by train. The use of production-line techniques really kicked into high gear after World War II and made a sizable contribution to reducing the housing shortage at that time. Now, Modular Home homes become permanent dwellings once they are transported from the factory to the site. Today, even conventional stick-built homes are using an increasing amount of factory assembled components. Roof and floor trusses, pre-hung doors and windows, modular cabinets and fiberglass bath and shower units are standard prefab items. One of the greatest advantages to Modular homes is that they are constructed entirely within a controlled climate. Construction can continue year round and because the assembly line workers don’t need to be skilled carpenters they can work for much less than what on-site contractors are normally paid. The benefits of this time and cost reduction can be passed on to the home buyer in the form of very significant savings. Modular Home manufacturers have their factories centrally located to make the most efficient use of transportation, materials and labor. Therefore, the houses can be built better, faster, more efficiently and more economically. There is so much less material wasted when homes are being built in the factory and there are no worries of theft, vandalism or weather damage during the construction process. Each of these is common with stick-built construction. After delivery to the site, all Modular Homes can be assembled, closed in and occupied in a matter of weeks. The precision machinery used in fabrication will accept only high quality kiln-dried lumber, unlike the “green” boards which often go into site-built houses. In the well built Modular homes, joints are both nailed and glued. The resulting tight construction makes the houses stronger and more energy efficient. Prefabricated components are built extra rigid to hold up during shipping and assembly, which makes the houses better able to withstand earthquakes and severe wind storms. It is estimated that many of today’s Modular homes have 20 to 30 percent more lumber as compared to stick-built homes. In general, Modular homes are over engineered to withstand transportation to the site. If you are interested in a Modular home, research is the key! Know what you are buying and you’ll be happy in your new home. 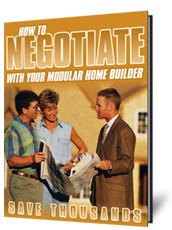 I suggest that you begin your research with a book called The Complete Guide to Modular Housing by Randall Eaton. This book offers a thorough overview of the entire factory built industry as well as specific information on all of the different manufacturers across the country. 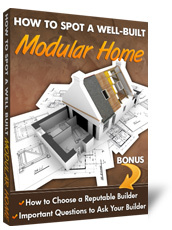 After reading The Complete Guide To Modular Housing, you will be more than ready to venture out into the Modular market and start making your new home dreams a reality!